The Eastern Cape is endowed with musical talent. However artist lack the opportunity of making good quality music videos that will market them. 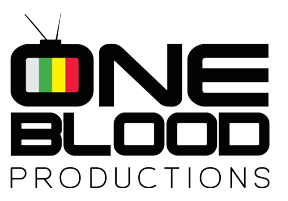 We as One Blood offer our professional services to put together creative music videos that will get audiences excited about the music of the artist. These music videos have made it on national broadcasters all the way from Port Elizabeth. With the help of J Bux (Jason Fraser) I was able to work with with All about Dutsan car club in PE. We had a great day shooting the video. I had the pleasure of working with Nomhle Nkonyeni and Zwai Mgijima on this piece. Location scouting was an interesting journey. I finally found a backyard that is looks like a forest. Phakama is the official video from Take Note’s newly released album “The Journey Begins”. Featuring Asanda Mqiki, the song’s meaning is straight forward: Stand Up! Directed by Nomakhomazi Dyosopu, with Okuhle Dyosopu (art director and wardrobe stylist). The film celebrates New Brighton in color. On camera Viqta Eyambe, Chad and Nomakhomazi. This is another One Blood Production. Enjoy.